Nashville City Hall is located at 225 Polk Avenue, Nashville-Davidson TN 37203; phone: 615-862-6000. Photo: Miles House, ca. 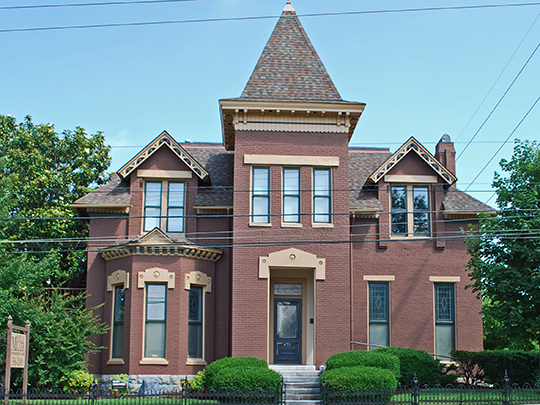 1860, 631 Woodward Street, Nashville, TN. Listed on the National Register of Historic Places in 1979. Photographed by Andrew Jameson (own work), 2010, [cc-by-3.0 (creativecommons.org/licenses/by/3.0)], via Wikimedia Commons, accessed November, 2014. Nashville was the first white settlement in both the county and in "Middle Tennessee" which was, at the time (1779) part of North Carolina. It was founded by John Donelson and James Robertson and Samuel Barton as Fort Nashborough. Fort Nashborough was named for Brigadier General Nash, a commander of the North Carolina Regiment who was killed at the Battle of Germantown, 1777. Nashville City was incorporated in 1808 and became the seat of government for Davidson County in 1843, at which time it was designated the permanent capitol of Tennessee. The Grand Ole Opry, the weekly country music program and concert, was established in 1925 and is the oldest continuously-broadcast radio show in the U.S., as well as the force behind Nashville's becoming known as Music City USA.